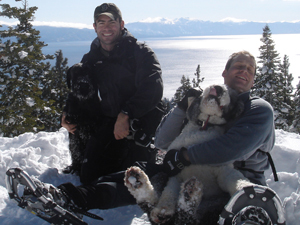 Insulin Factor members Matt Vogel and Jonathan Fern enjoyed snowshoeing at Lake Tahoe with Duke (Giant Schnauzer) and Weikawaik (English Sheepdog) as companions. The winter season is here and it's time to gear up for the cold sports: skiing, snowboarding, ice skating, snowshoeing, and luge. 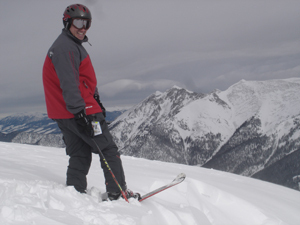 Before you embarking on your winter adventure, go through the diabetes cold weather checklist. Insulin (vials/pumps/tubing) and test strips must not freeze. Keep them warm, under your jacket/pants, and close to your skin. One idea is to wear shorts with pockets under your ski pants. Store your pump in the pocket and the tubing under your ski jacket/pants. Bring extra diabetes supplies in case of issues or emergencies. Carry extra glucose. Increased activity can cause low blood sugar. Wear a medic-alert ID bracelet or necklace. Go with a friend and make sure they know what to do in an emergency. 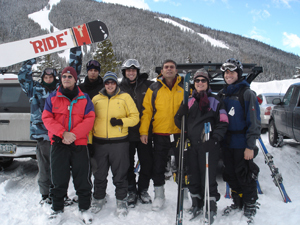 Changes in altitude, temperature, and activity level may affect your blood sugar. Ask your diabetes health care team how to effectively manage these variables. Wear multiple layers of warm clothing. Wear sunscreen. Higher altitudes combined with reflections off the snow/ice increase the sun's intensity. Bring and drink lots of water. 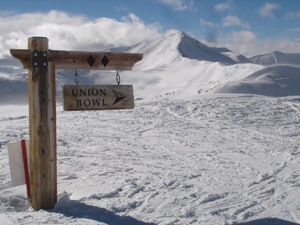 Even though it's cold, the higher altitude and increased activity can cause dehydration.